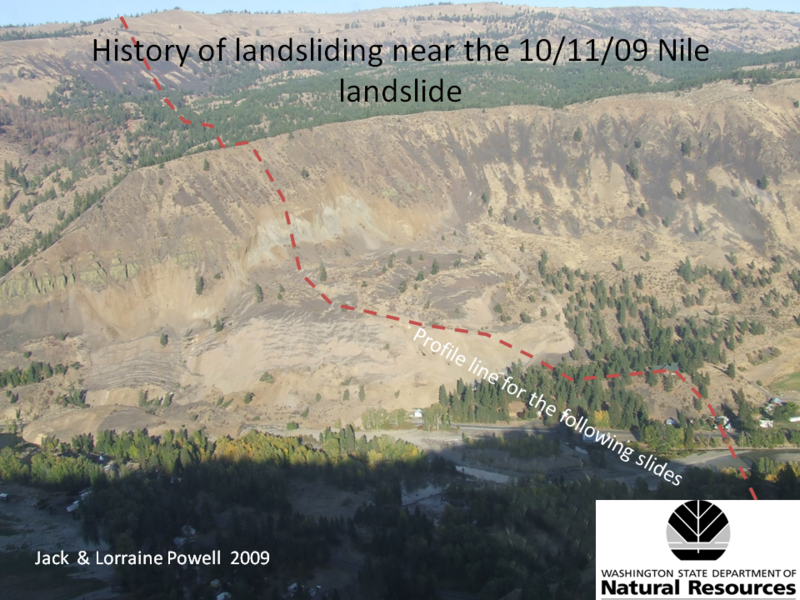 On October 15, 2009, Jack Powell (FP), and Isabelle Sarikhan (DGER) investigated the Nile landslide on Highway 410 and the older Sanford Pasture Landslide approximately 10 miles west of Naches. 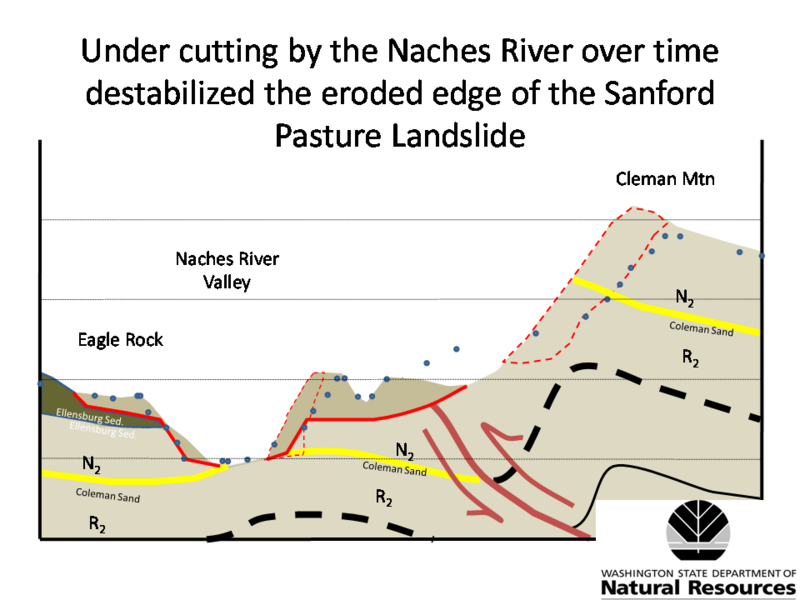 There is concern that the Sanford Pasture Landslide could reactivate as a result of the recent movement of the Nile Landslide. 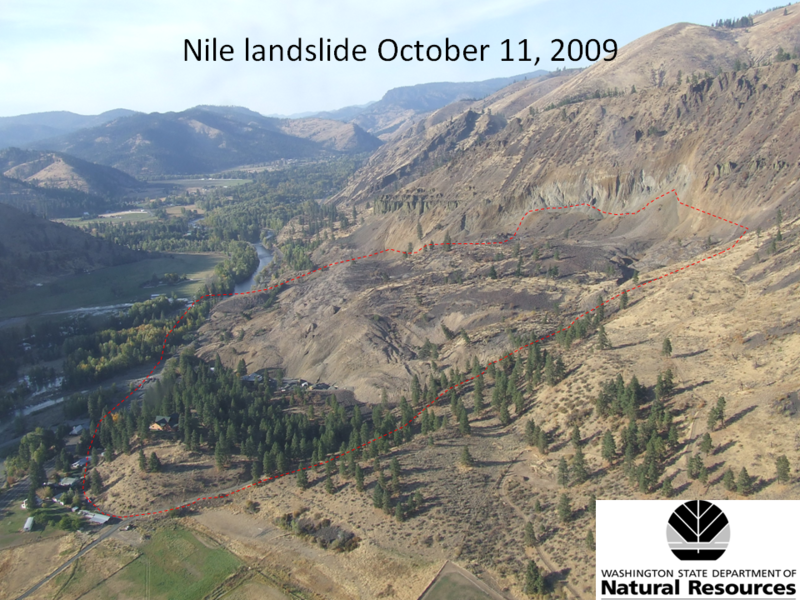 We also investigated potentially new activity within the Nile Landslide, continued risk to public safety and the safety of crews working on the ground, and collected additional data. No immediate danger was found for continued progression of failures. 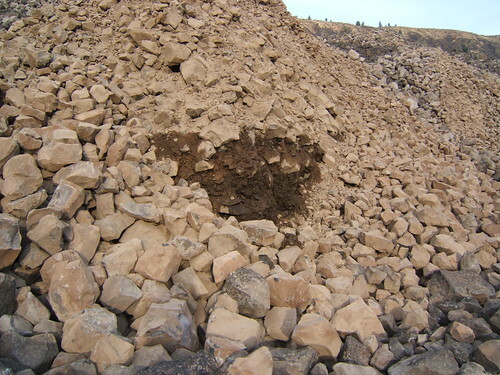 No cracks or fissures were found above slope of the Nile Landslide and a traverse of the crest of the hill above the Nile Landslide also found no cracks or fissures. 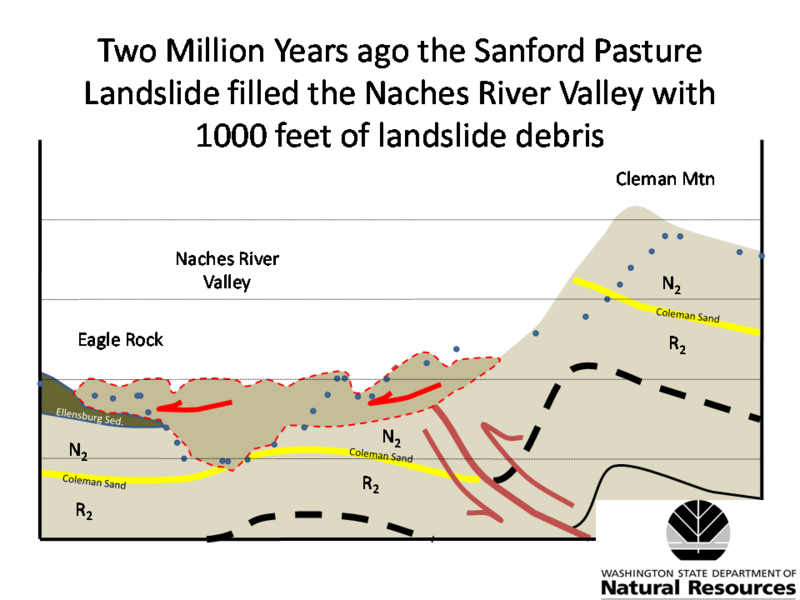 Further, evidence was found that the Nile Landslide occurred below the failure plane of the Sanford Pasture Landslide, greatly reducing the risk of movement by the release of pressure from the Nile Landslide. 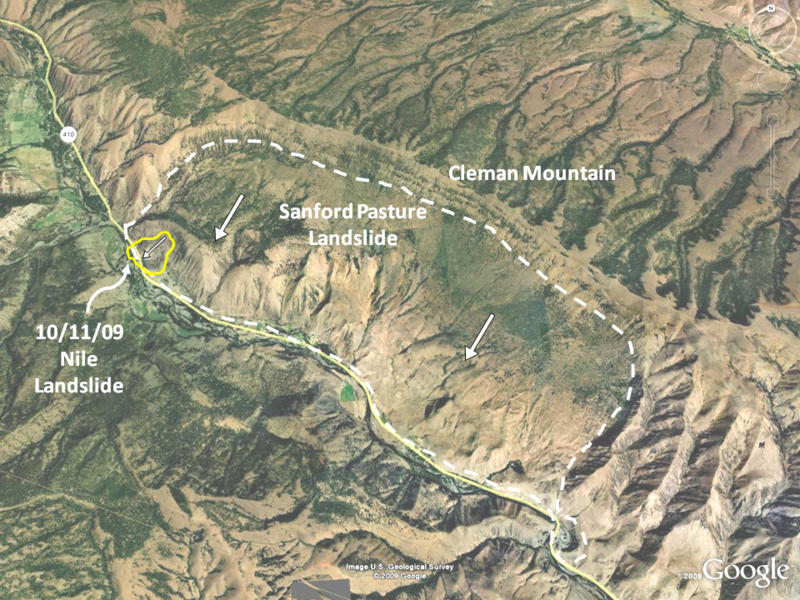 However, because of the size and wide scale impact that the movement of Sanford Pasture can cause, further surveys for recent cracks and fissures further uphill on the western edge of the Sanford Pasture Landslide should be conducted. The Nile Landslide had moved several feet since Sunday. 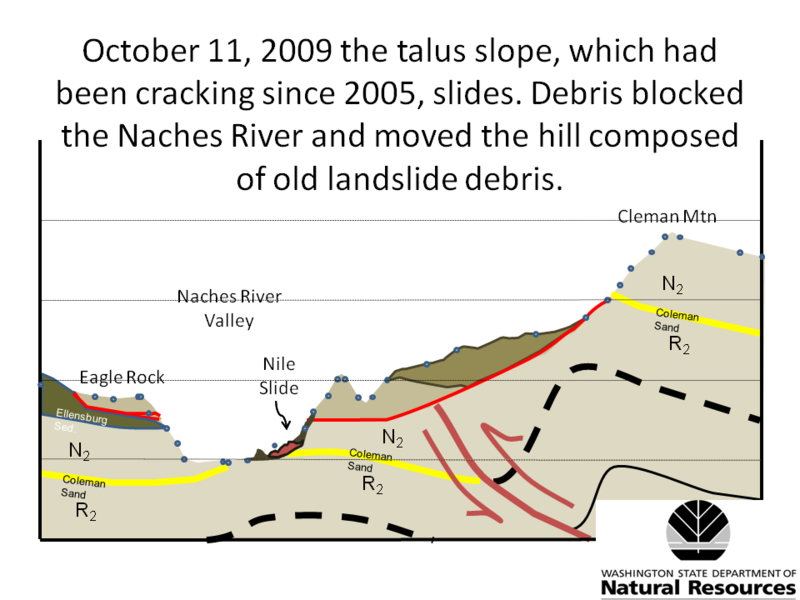 During our visit on Oct. 15, no rapid signs of movement were occurring, but the landslide is probably still moving at a speed of inches per day. The speed will gradually slow, but movement might not completely stop for months. 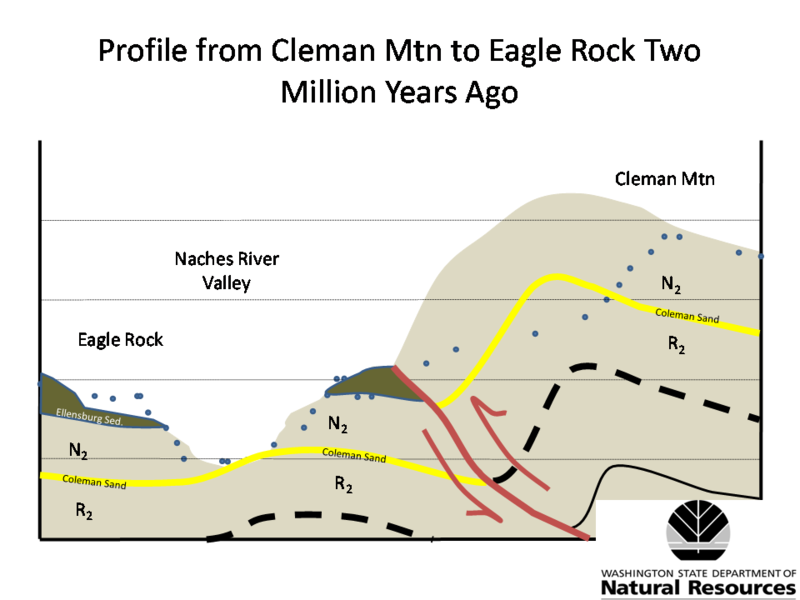 Sudden catastrophic movement is unlikely and the risk of public safety and workers on the ground should be low if they stay a safe distance from the landslide. 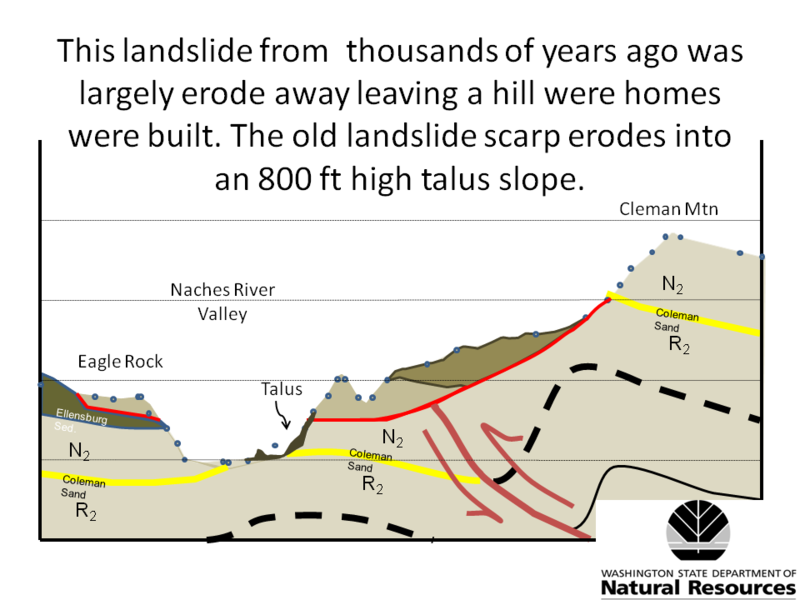 The most unstable parts of the landslide are the toe, which is oversteepened and can result in shallow failures and the scarps, both internal and the main scarp, which can ravel or result in shallow failures without warning. Tomorrow looks rainy, really rainy out by the landslide. In the dryer climate of Central Washington, dirt roads are not always built to drive on when wet. 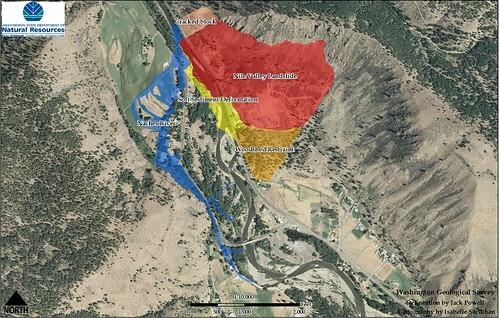 So, we might not be able to drive very far up on the Sanford Pasture Landslide tomorrow. We are still going to investigate on and around the Nile Landslide. We have heard that there is uplift of up to 8 feet on the old Naches River bed. 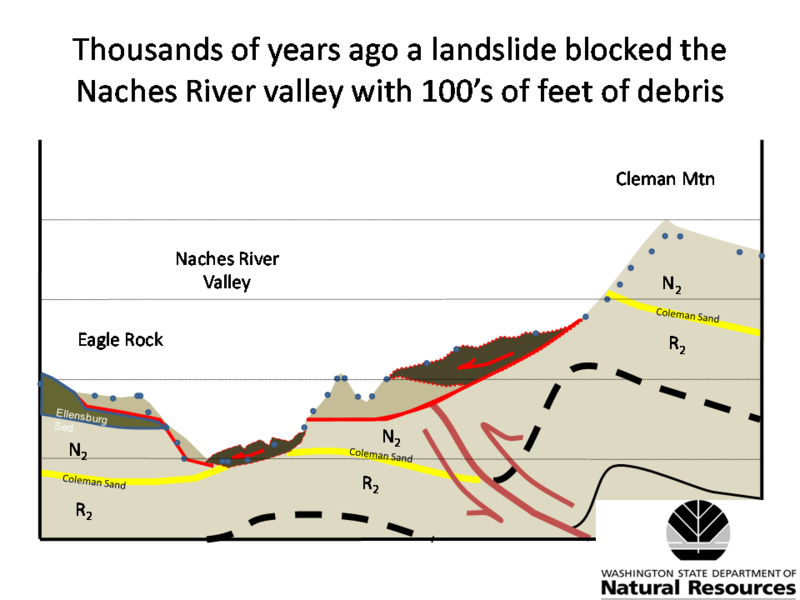 We will be examining for cracks around the landslide to see if the landslide is propagating (expanding) and potentially going to continue to fail. If we can, we will also try and hike or drive up above the Nile Landslide to look for stress or tension cracks from the release of material below. I will be posting probably on the trip on Friday Morning. 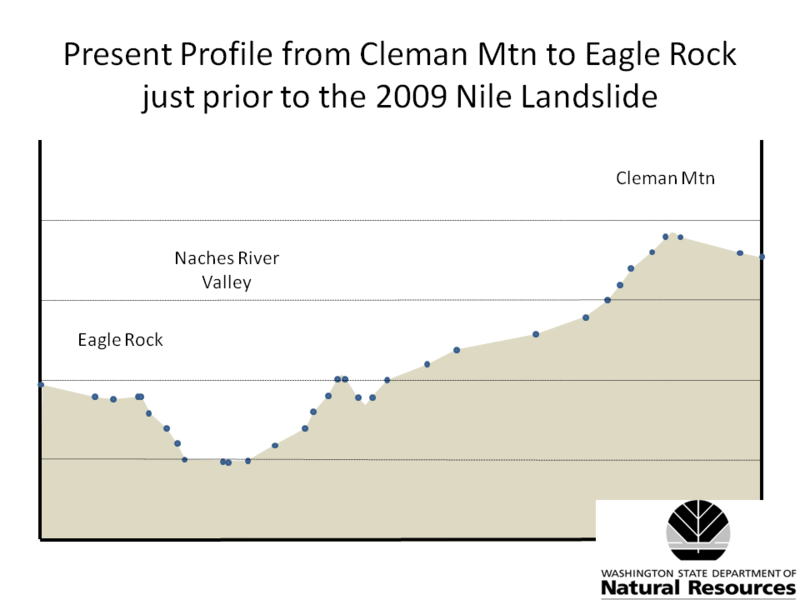 In all of the focus on the Nile Landslide, I just about missed this landslide up on SR 20. DATE/TIME: October 13, 2009, 2:19 p.m. DESCRIPTION: Both lanes of SR 20/North Cascades Highway are blocked by a rockslide at milepost 145.5, the Skagit/Whatcom County line. START: October 13, 2009, 2:05 p.m.
OTHER: WSDOT maintenance crews are en route to the slide and will provide an estimated reopening time once they assess the area.